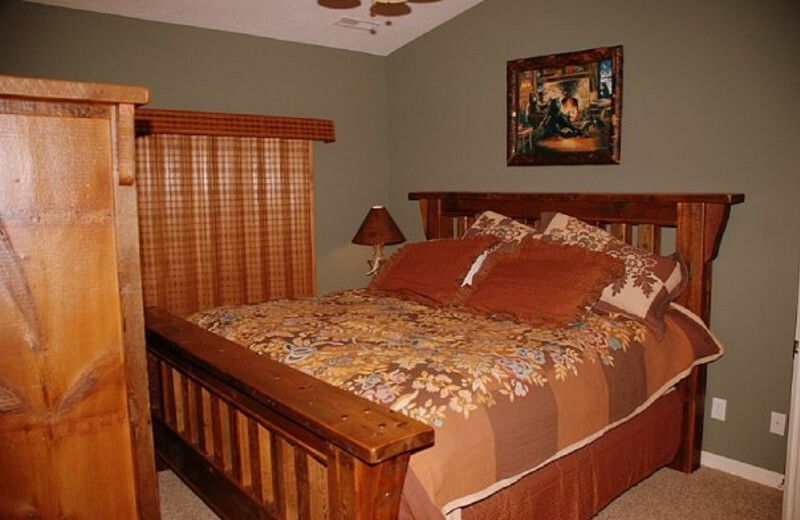 The Only Cabin and Condo Resort in the Heart of Branson! 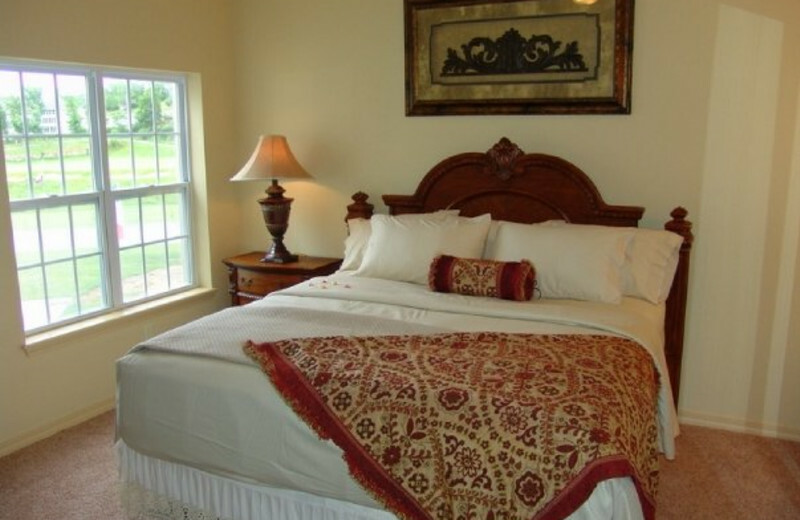 Visit Thousand Hills Golf Resort for luxurious lodging, world-class golf and Branson excitement! 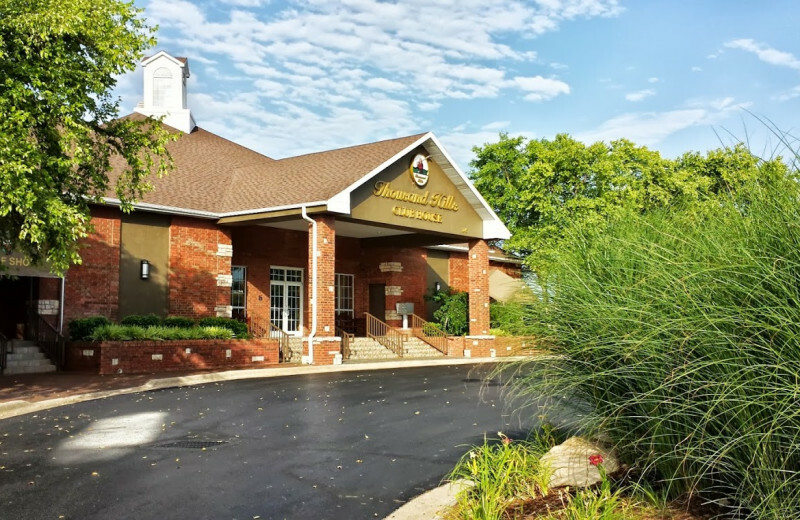 Why stay on the outskirts of Branson, when Thousand Hills Golf Resort provides luxury accommodations and 18 holes of award-winning golf right in the heart of this exciting Missouri destination? 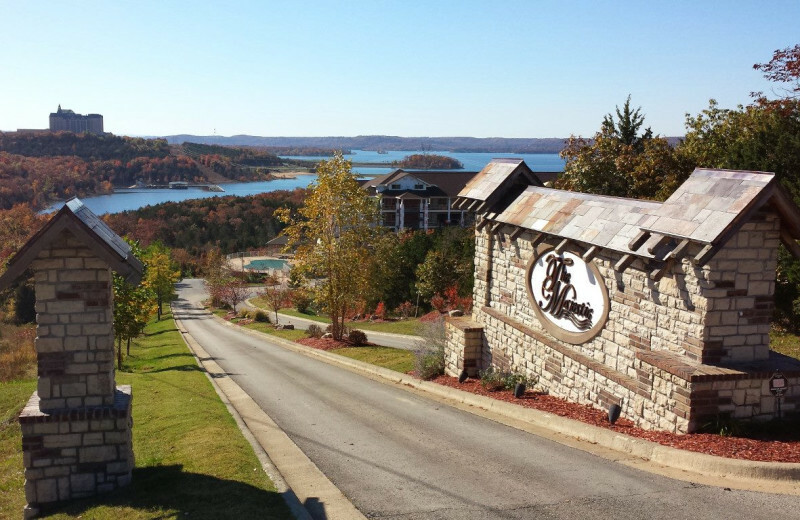 The Golf Digest award-winning Thousand Hills Golf Course is onsite, so your Branson Golf vacation can move easily from a round on the immaculate greens to Branson's renowned live entertainment, shopping and fine dining. 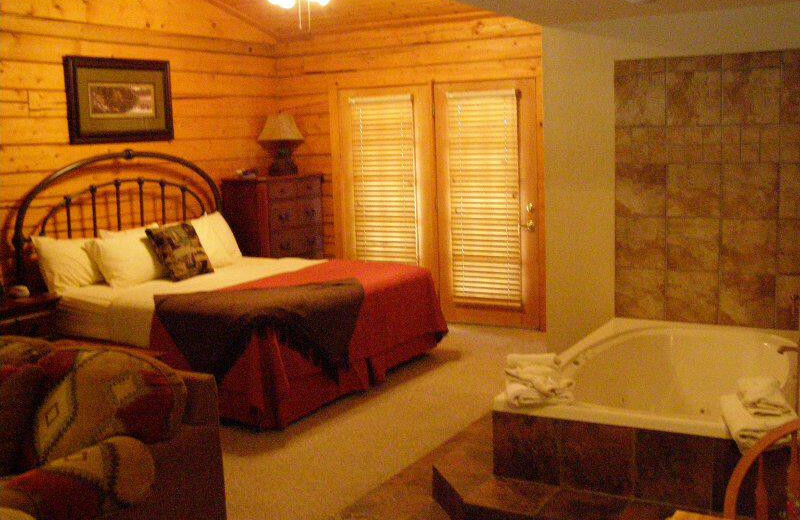 After a busy day, recharge in a luxury condominium or cabin, unlike any other accommodation in Branson, that will blow you expectations out of the water! 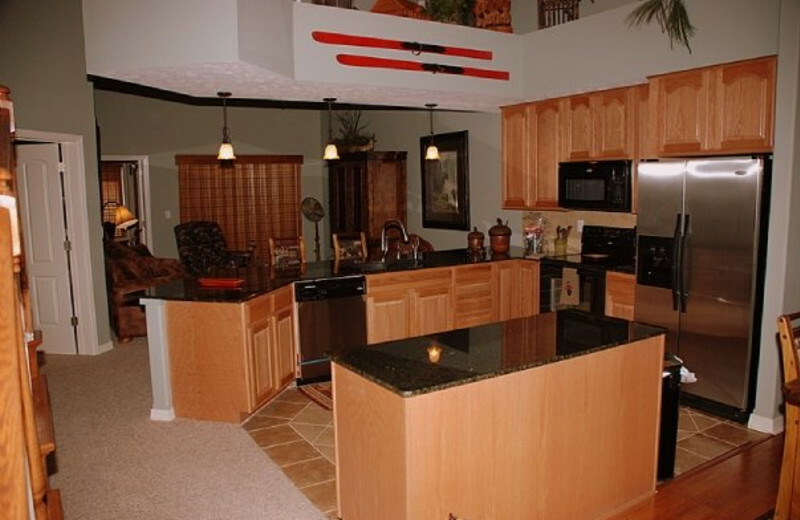 Full kitchens, a private Jacuzzi and private porch or balcony are par for the course at this luxury resort in Branson! Luxury accommodations and a convenient location in the heart of Branson makes Thousand Hills your ideal Branson family vacation destination. 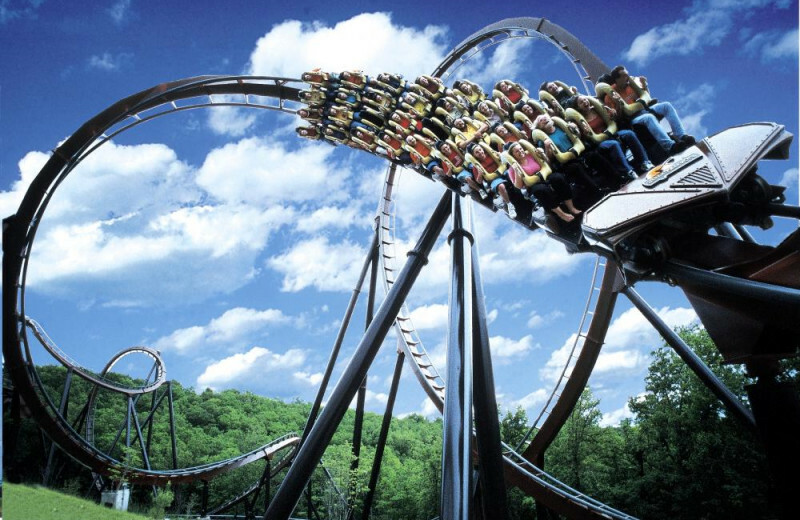 Visit Silver Dollar City, or catch a live show nearby. The kids will surely love the bright lights, and you'll be just minutes from one of seven pools and your luxury condo! 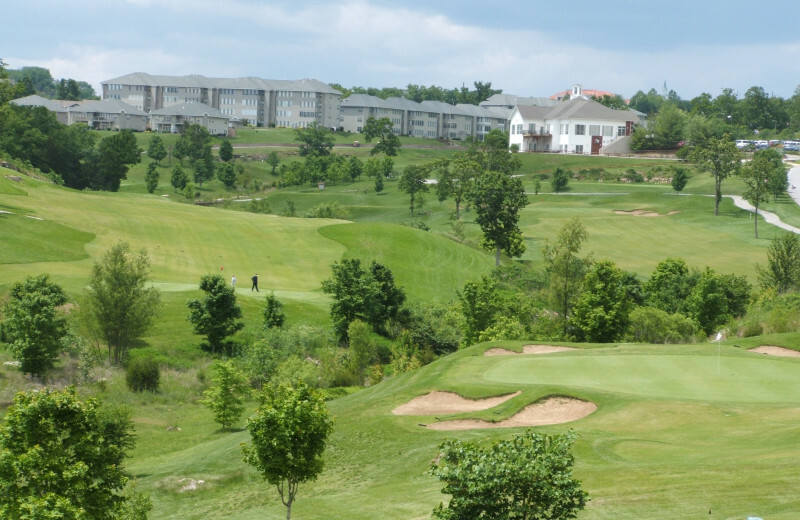 Golf enthusiasts are sure to rejoice at this Missouri destination! Thousand Hills proudly presents the Golf Digest award-winning Robert E. Cupp-designed golf course. 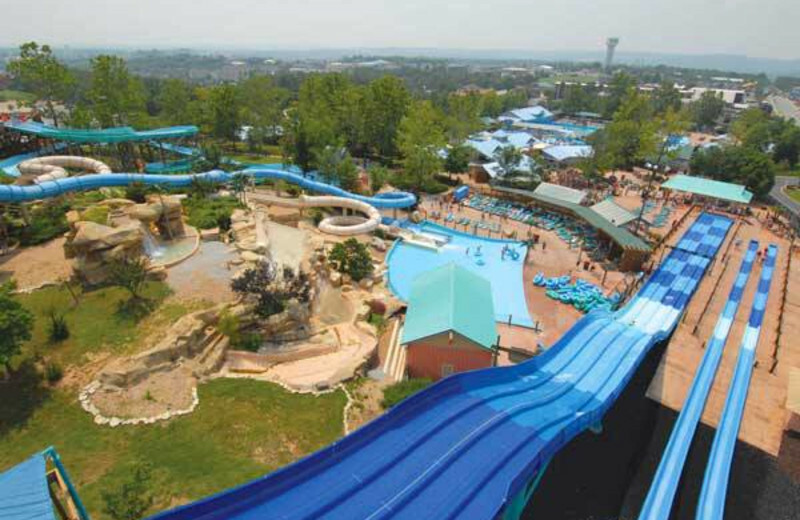 It's been described as the most challenging in Branson and, unlike any other, sits right in the city. 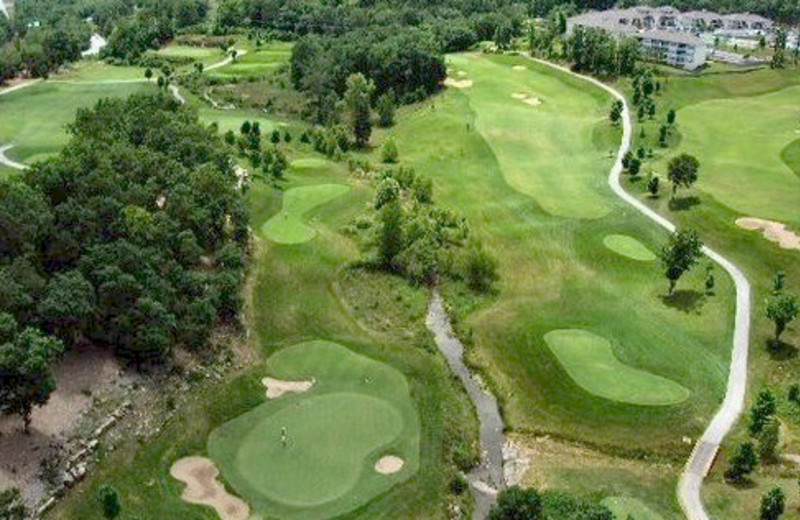 It features immaculate Zoysia fairways and GPS-equipped golf carts, plus Branson's largest pro shop! 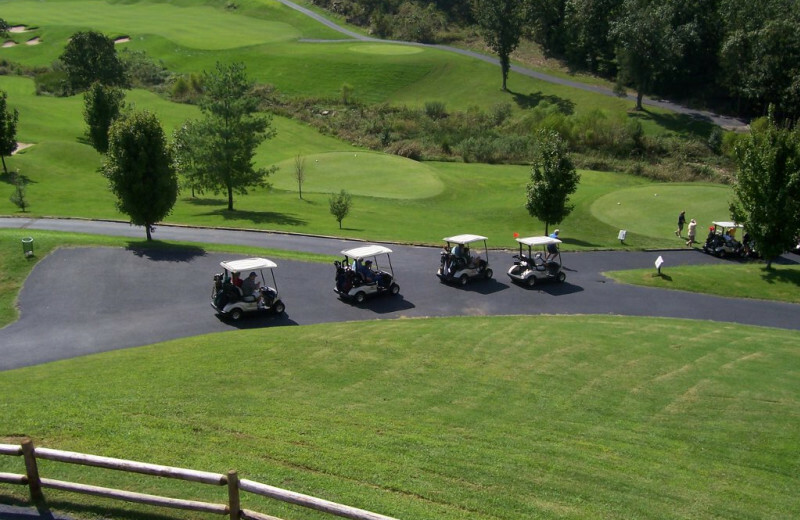 Thousand Hills Golf Resort provides the perfect venue for your next corporate outing or meeting. 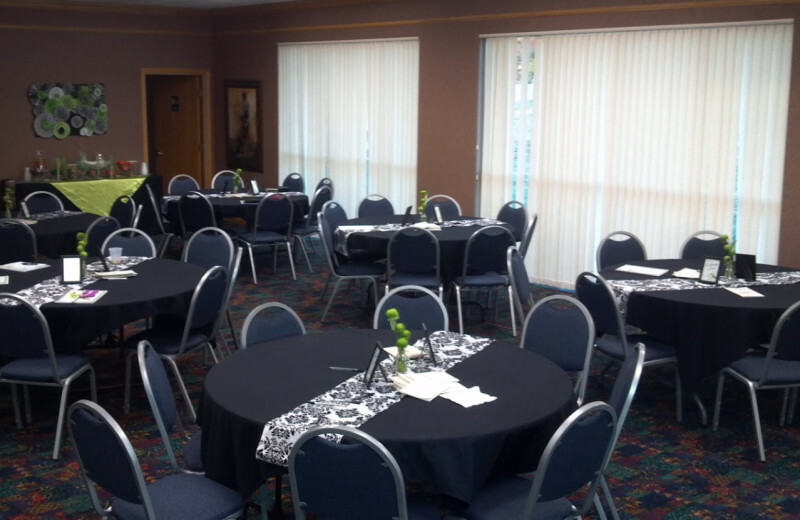 First-rate meeting and banquet facilities include high speed Internet access, the latest audio/video equipment, and conference phones for all of your business needs. When you're done with work, take in a movie at the IMAX Movie Complex or play a quick nine holes right onsite. Whether you are looking for an upscale boardroom or full conference rooms, Thousand Hills has you covered for your next group event. Plan your next family reunion at Thousand Hills Golf Resort, and enjoy the glitz and glamour of Branson! 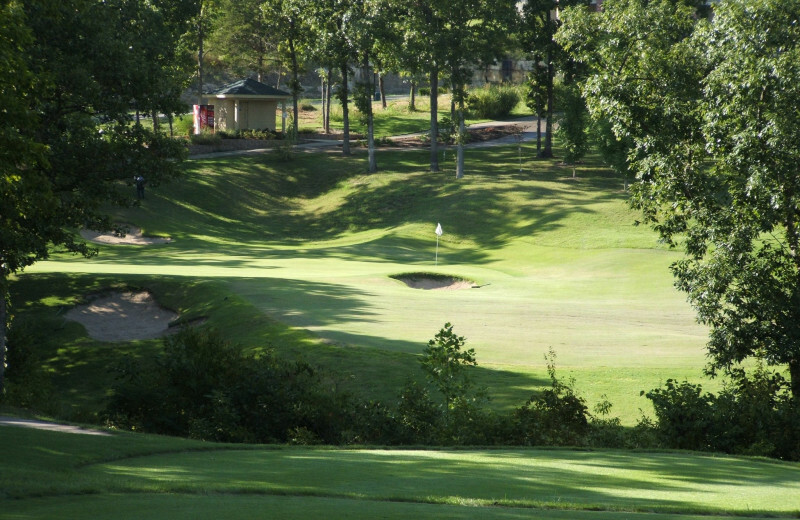 Enjoy a show at Andy Williams Moon River Theater, or set up some tee times at the most popular course in the area. 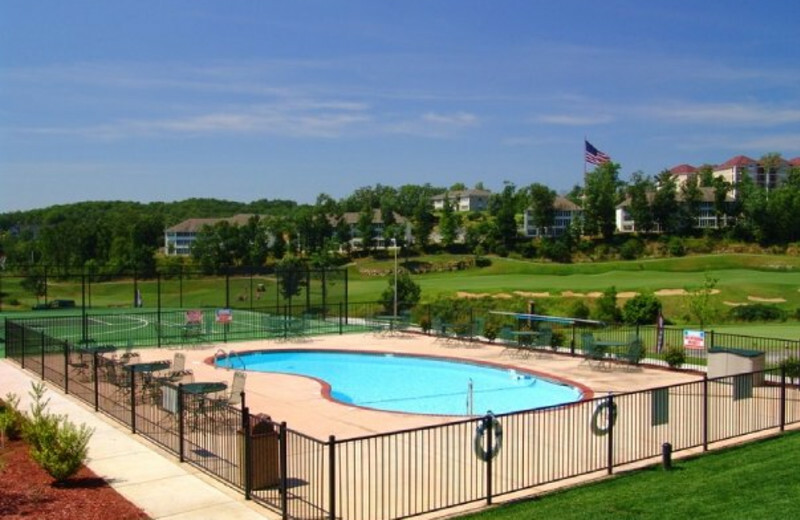 Condos and cabins provide plenty of space for the extended family and both indoor and outdoor swimming pools provide the perfect summer oasis for the kids. 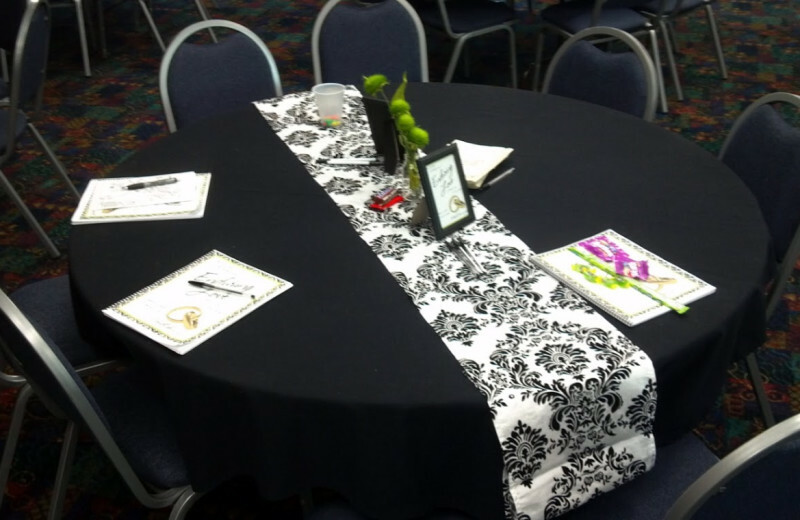 Your big day deserves the perfect setting and you'll find it in Branson! Thousand Hills Golf Resort's friendly and experienced event team will handle all of your wedding details. 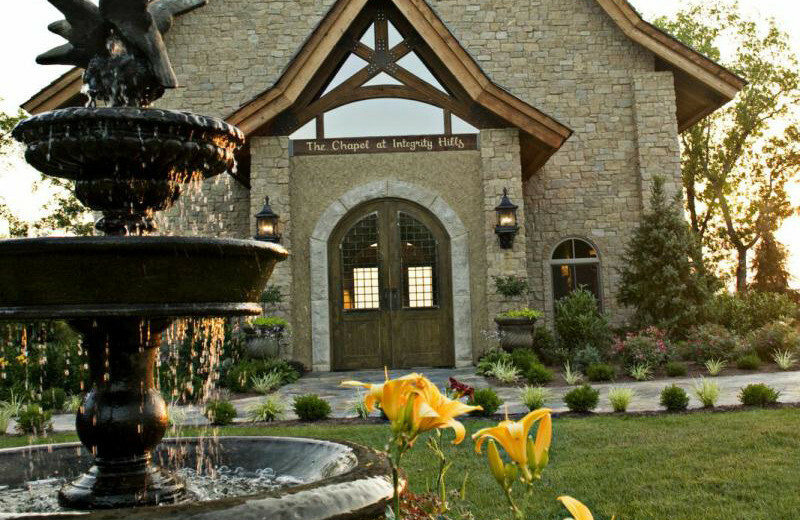 Host your ceremony at nearby locations such as the beautiful European-inspired Chapel at Integrity Hills located above Table Top Lake or at The Stonegate Glass Wedding Chapel. After you say, "I do" bring your guests back to the resort for an impressive reception. 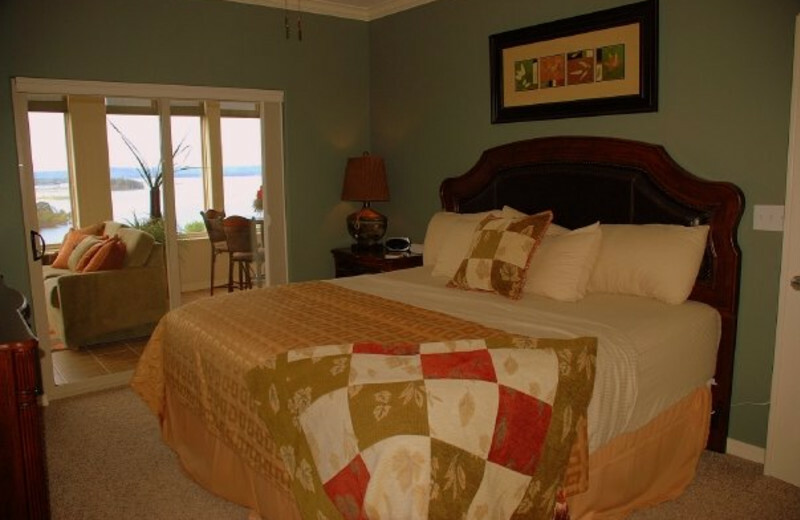 The resort offers great and conveniently located accommodations for all your guests! 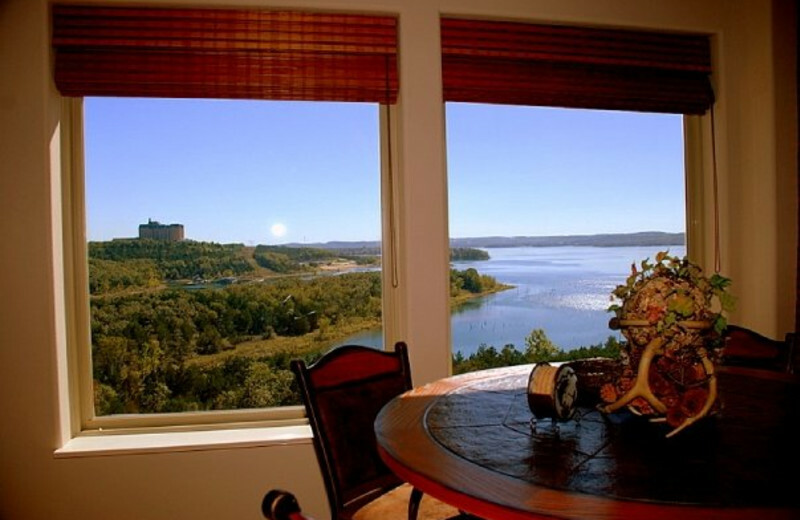 Table Rock Lake and the Ozark Mountains give you two great options for outdoor activities at Thousand Hills Golf Resort. Nothing beats water skiing, boating and swimming on a summer day, and the lake is a great place to cool off after a day of hiking through the mountains! 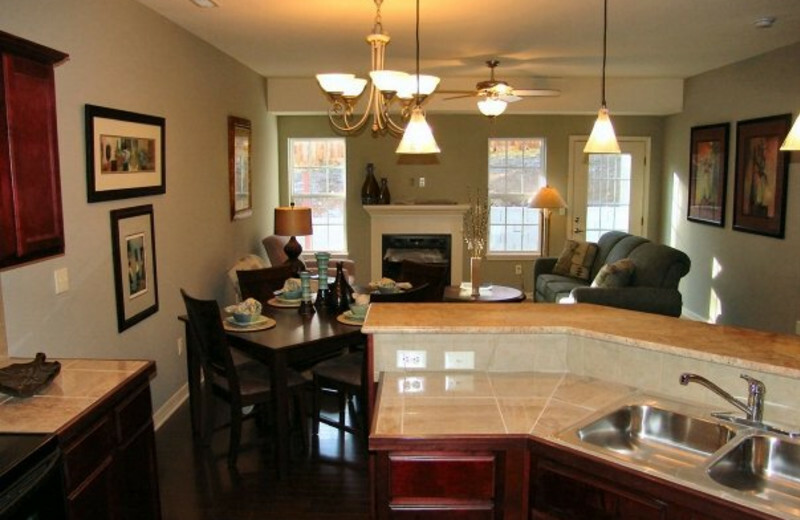 And after a day of exploring, you'll love returning to your spacious and luxurious condo to unwind and relax! 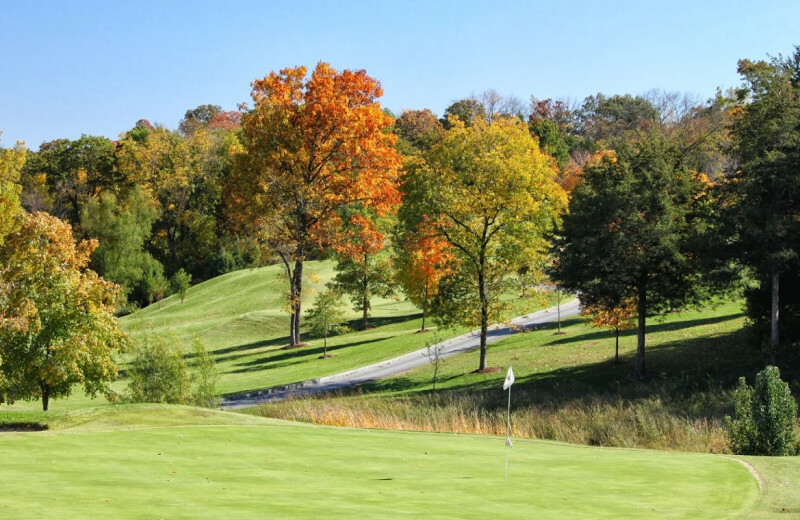 Whether you're celebrating an anniversary, birthday, or just each other, Thousand Hills Golf Resort is a charming Missouri getaway for couples seeking some alone time! Be sure to hit the golf course for a day on the greens! Or, unwind together in the swimming pool and Jacuzzi tub. 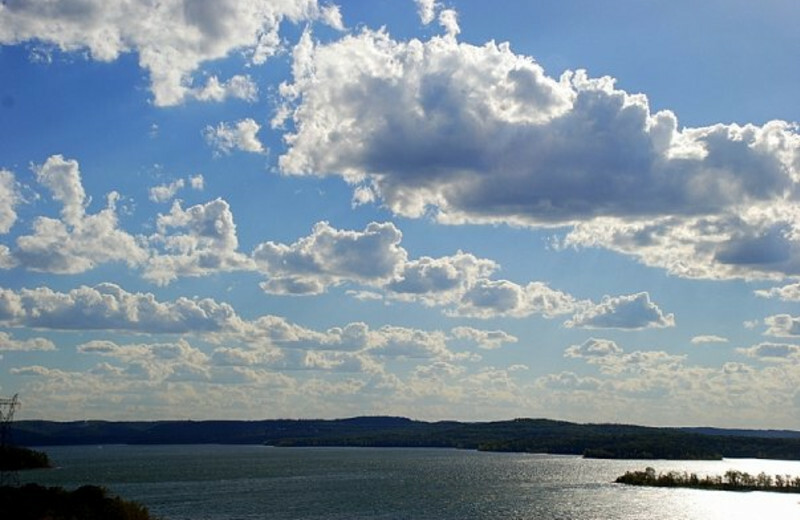 Nearby Table Rock Lake offers some more outdoor fun such as swimming and boating! Tired of always feeling forced to leave poor Fido behind whenever you take off on family vacation? 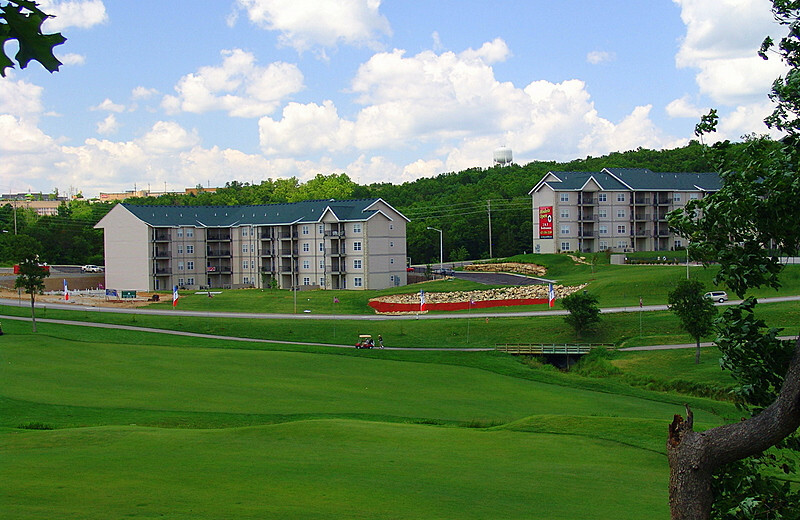 Well, plan your next getaway at Thousand Hills Golf Resort in Branson where pet-friendly accommodations are available. 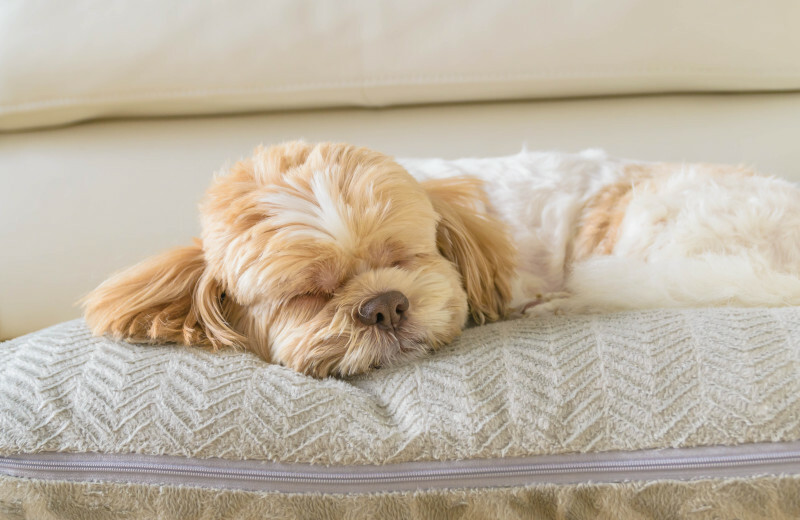 Just remember to make it known to the resort that Fido will be accompanying your group because specific pet-friendly options are available by request. 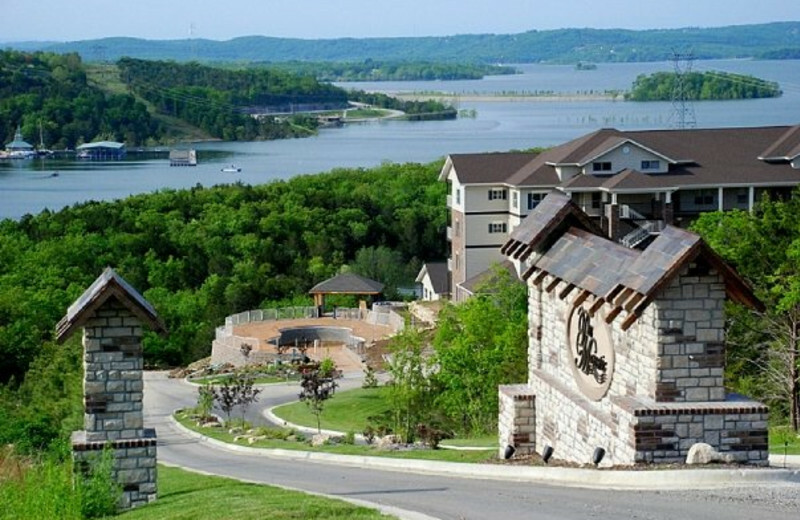 When you're searching for luxury in Branson, Thousand Hills is your destination. 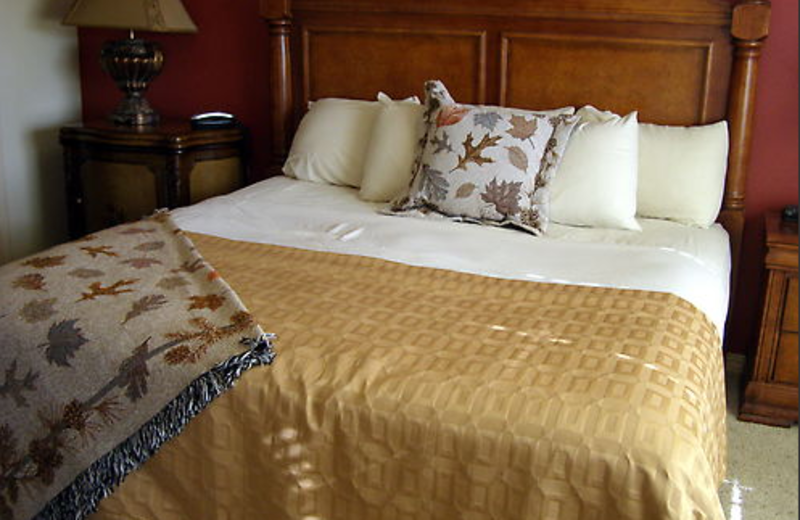 The resort features manicured grounds, an immaculate golf course and condos or elegant cabins. Every unit features upscale décor, unique to each owner, fine furnishings and amenities like Jacuzzis and fully-equipped kitchens. 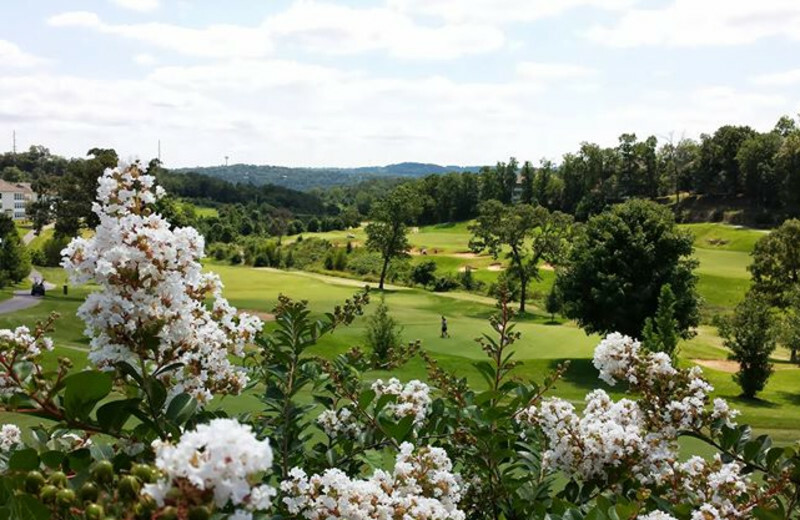 The Ozark Mountains provide a serene background for Thousand Hills Golf Resort. 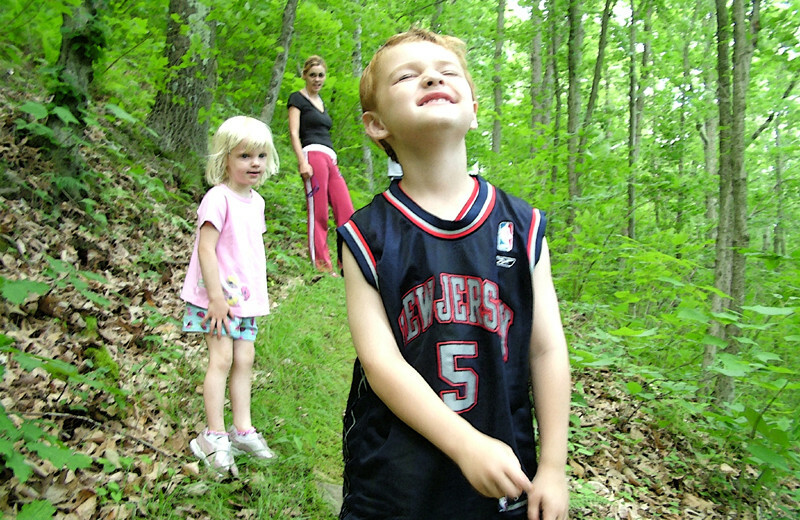 With some of the cabins tucked back into the foothills of the mountain, you have plenty of room to explore with hiking and biking trails. 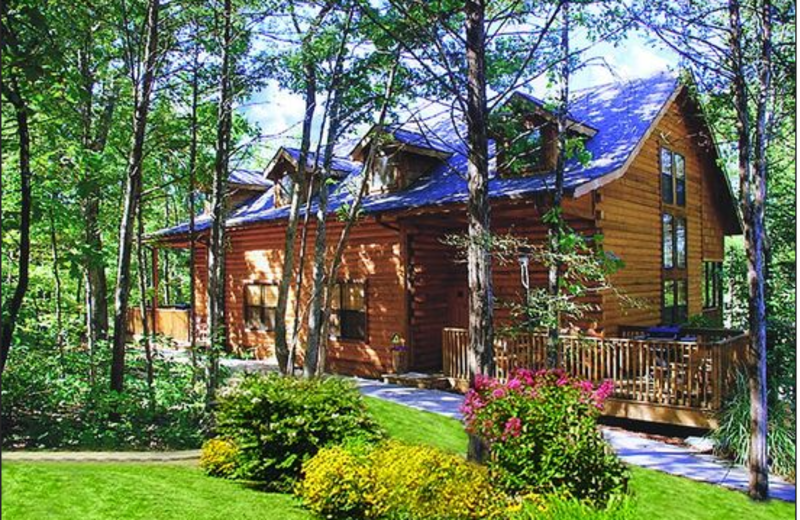 The Cabins at Grand Mountain provide a rustic outdoor setting for guests looking for nature at your front door. 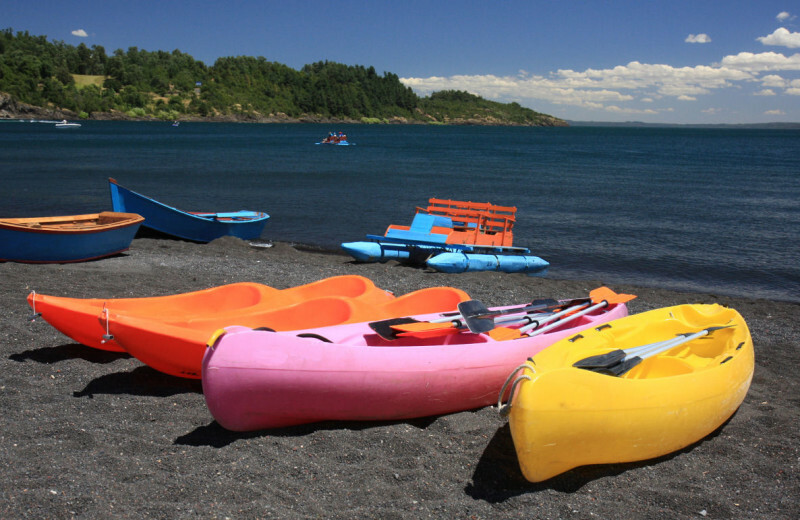 When you come to Thousand Hills Golf Resort, take a break from the greens to hit the water! 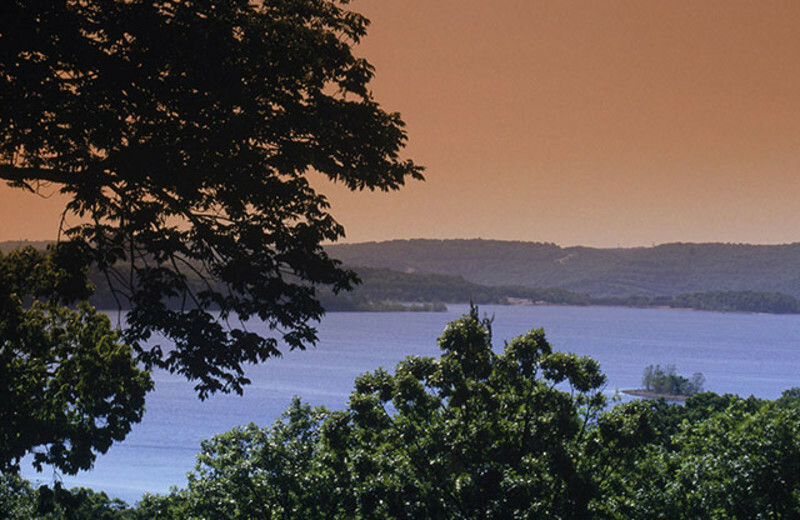 Table Rock Lake and the Ozark Mountains give you two great options for outdoor activities at Thousand Hills Golf Resort. Nothing beats water skiing, boating and swimming on a summer day, and the lake is a great place to cool off after a day of hiking through the mountains! This all-suite hotel reflects the finest that the world has to offer for the newlywed couple trying to escape from the world. 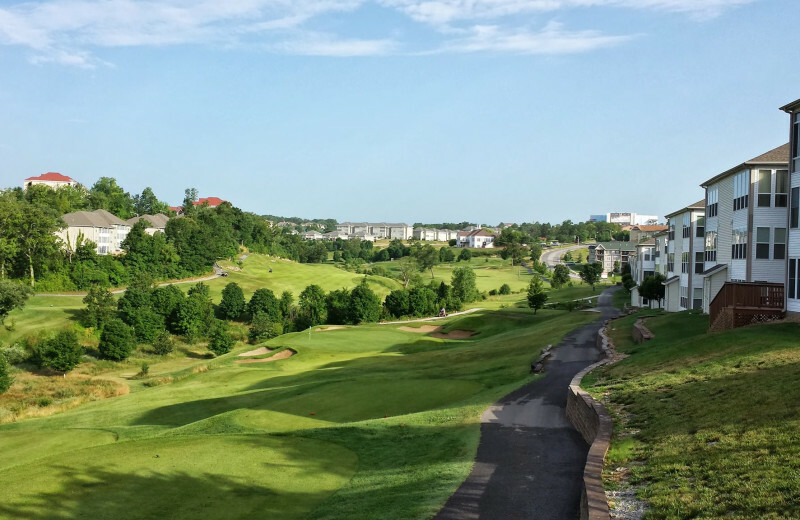 There is an 18-hole public golf course and a lot of attractions in Branson, Missouri to release worries, satisfy senses and create memories! It's the perfect place to start the newest chapter of your life together. The cabins at Thousand Hills blend rustic décor with luxurious elegance, all designed to fit in with the natural landscape inside and out. 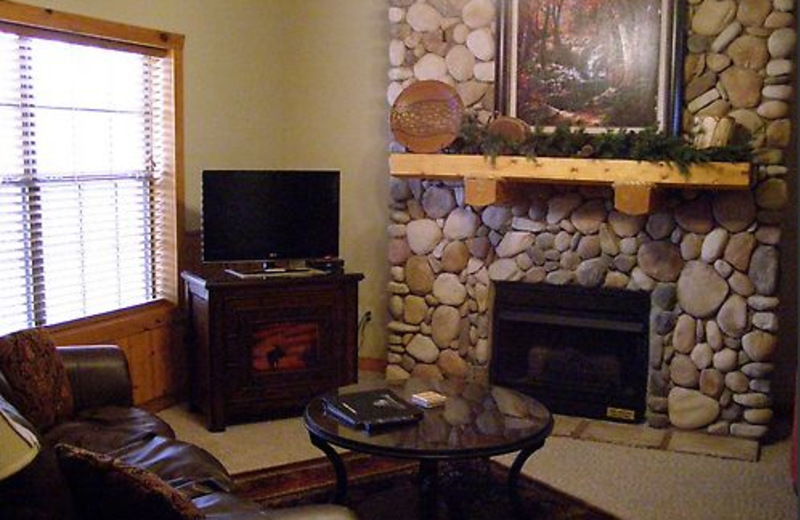 You can sleep up to 16 people in one unit and enjoy amenities like Jacuzzis, fireplaces, fully-equipped kitchens and screened porches to soak up the fresh air. 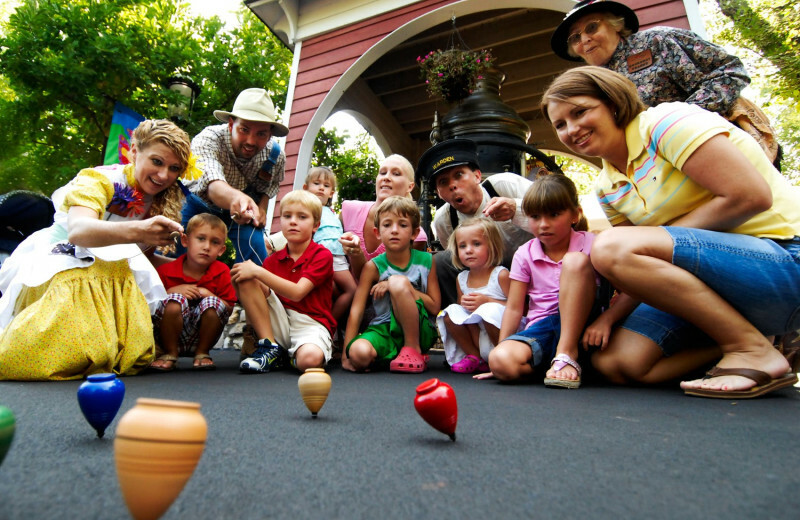 Take in a Branson experience like no other! 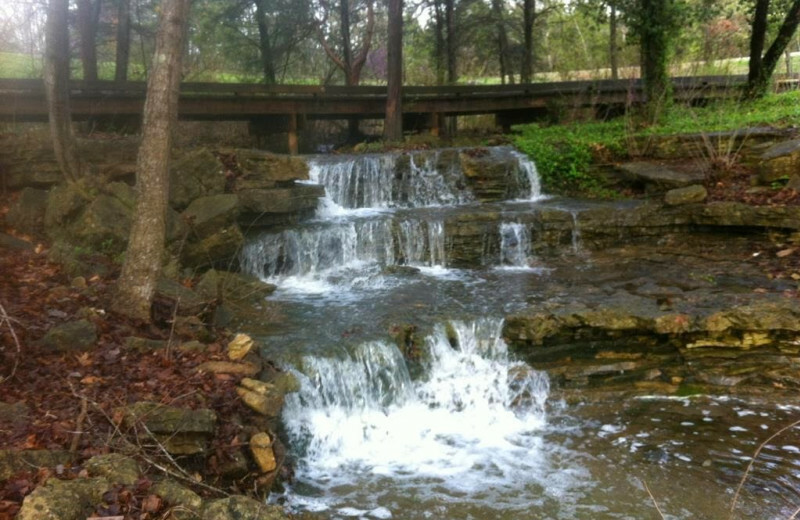 Head to Branson for your next holiday vacation! Stay at Thousand Hills Golf Resort and experience the ultimate golf retreat for a bachelor or bachelorette party! Book the 16 person cabin for a real treat. 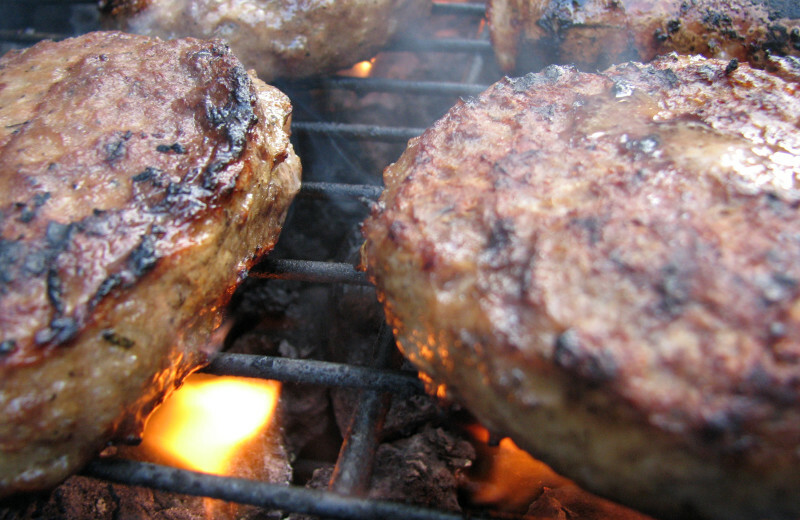 Come for Memorial Day and experience the splendor of the Ozakrs! Whenever you come, you're sure to have a holiday to remember! 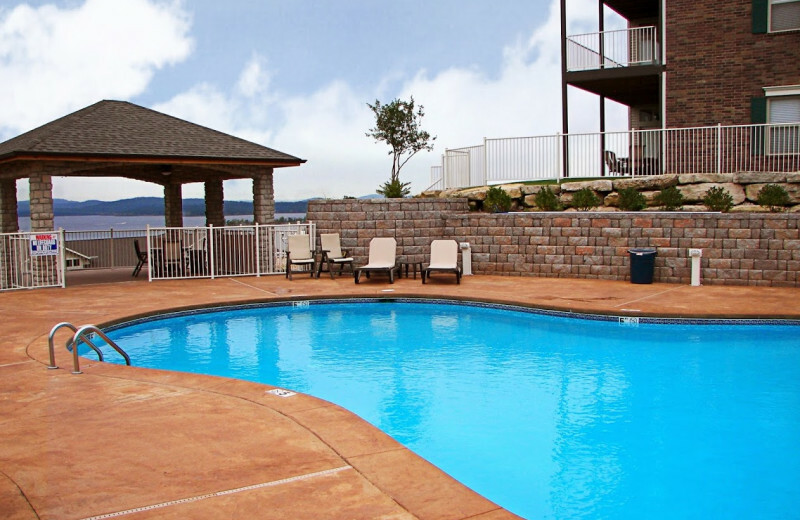 Relax in a spacious Branson condo at Thousand Hills. 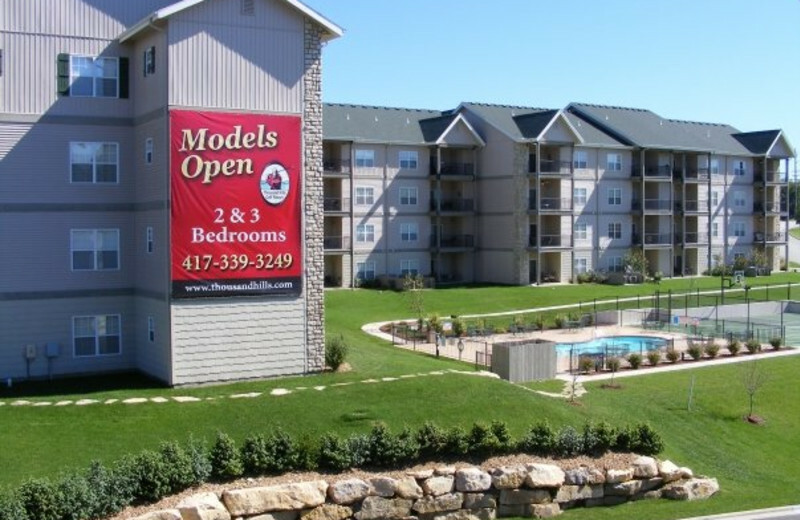 From Queen Suites to four-bedroom, four-bath condos, they offer all the amenities of home for your Branson vacation. 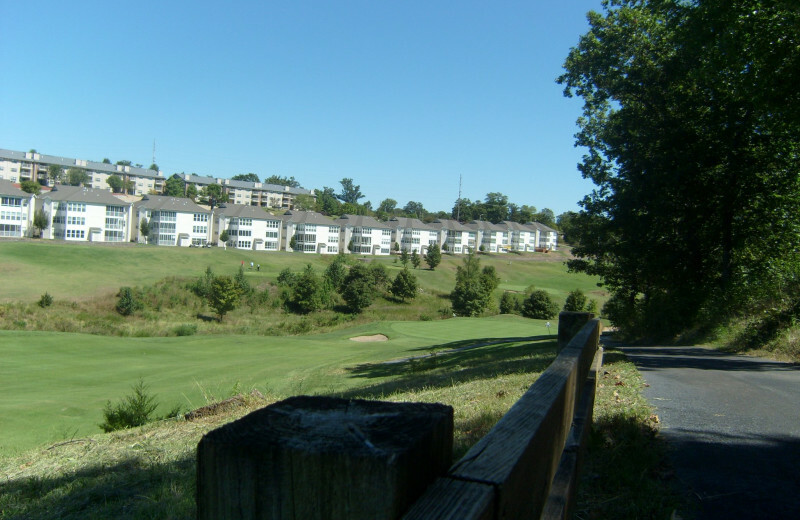 Enjoy golf course views, full kitchens and upscale furnishings. 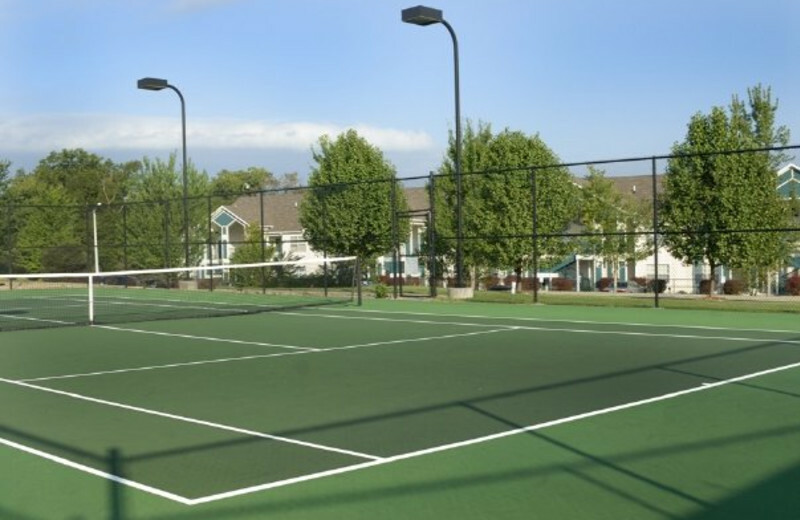 The condos are an inviting sight after an activity-filled day! Book today! Save Up To 35% During 2019 With Our Progressive Discount! 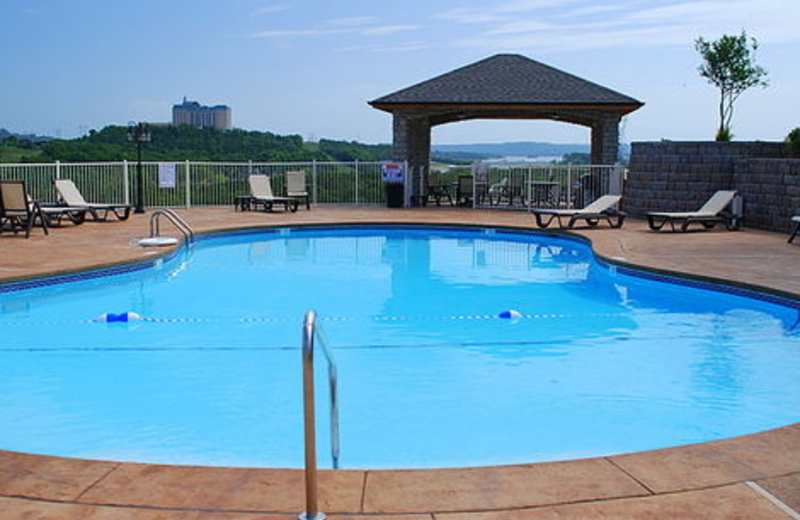 The Longer You Stay, The more you save in Branson at Thousand Hills Resort with our progressive discount.! Stay two or more nights and you will get a discount! No promo codes, no passwords, no hassle. You book today on our secure reservation system and you will get your savings! Make your reservations using our online reservation system to lock in the savings! Stay 7 or More Nights for Maximum Savings -- 35% Off Your Entire Stay! Some restrictions and limitations apply. Good for reservations through 12/31/2019. Not valid with any other offers or specials, not valid for Majestic lake view or limited view condos. Save Big In March & April! Spring is almost here! Book your March or April stay with Thousand Hills and stay with the best for less! 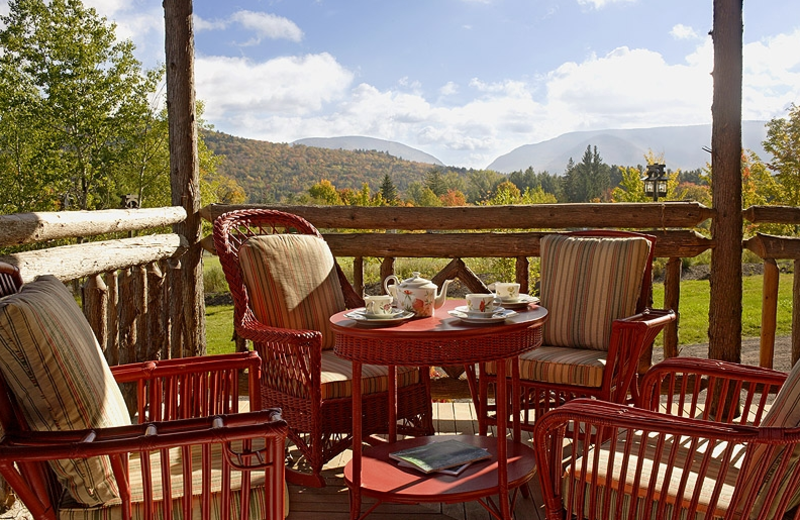 Spring is a fantastic time to vacation with us and still enjoy non-Peak Season pricing. Flowers will be blooming and shows will be back in full swing! Enjoy 2 FREE tickets to one of the following attractions; Titanic Museum, Ripley’s Believe It or Not! ; Hollywood Wax Museum, or The Butterfly Palace for qualifying reservations*! Qualifying reservations are new bookings made directly through Thousand Hills Rental Department, arriving Sunday through Wednesday, not valid for Thursday, Friday, or Saturday arrival dates. 2 night minimum stay is required to receive Free Ticket promotional offer. Not combinable with any other offer. No cash value, no rain checks for free tickets. 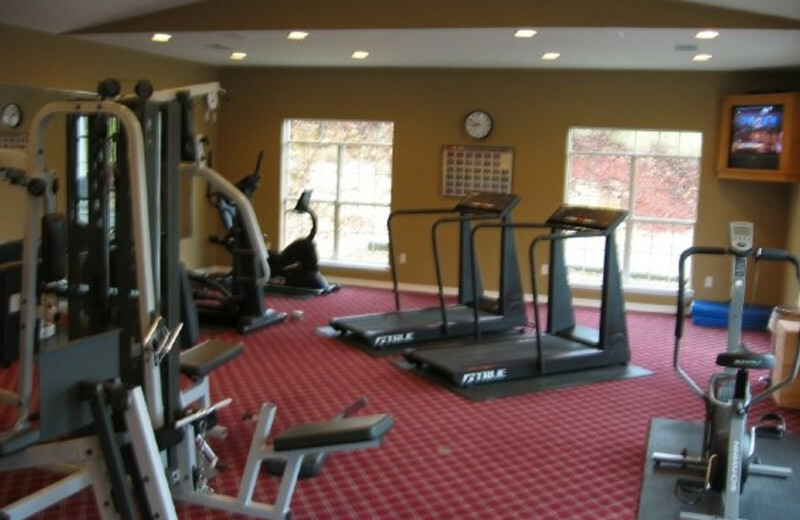 This property is ranked number 1 on Top Midwest Golf Resorts. Read about it here.